Team Unwired is one of the most successful technical club of National Institute Of Technology Calicut. We have a proud history of participating in the best engineering design competitions in national and international events. We have participated in events like SAE BAJA INDIA, SAE SUPRA, Formula Student UK, Formula Student India and ISIE Hybrid Vehicle Challenge. We have done well in all these competitions and our results are improving every year. Our dream is to be the top student racing team in India. But due to lack of sufficient sponsors we are not able to bring about major changes in our design and fabrication. We consider this crowd funding as a platform to raise an amount to make our dream come true. 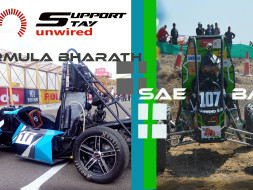 Team Unwired represented India in an international competition, Formula Student UK, where the best teams in the world pitted their engineering marvels against one another. 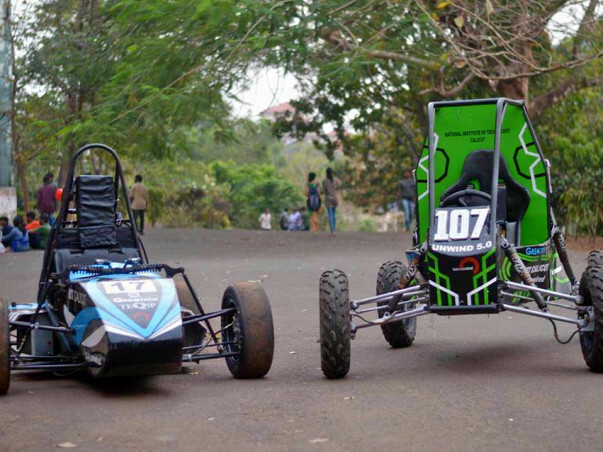 The team is also the only one from Kerala to compete in Formula Bharat this year. The major problem that has always affected our work was the lack of funds. The team intends to participate in two events SAE BAJA 2018 and Formula Bharat 2018. The same problem that the team faced in previous years still persists. The total funding required is almost 10 lakhs and we are out of money. Many of the parts for the vehicle should be ordered very soon and the team is short of money. The team besides from competing in these vehicle design competitions are also involved in socially relevant projects. HOW YOUR MONEY WILL BE SPENT? The current problem is placing the order for the shock absorbers (Fox Float 3) where we have to pay the full amount in advance. The total amount is Rs 85000. Help us in raising the money for ordering the parts as soon as possible which could kick start our project. Insufficient funds would mean a wonderfully designed car but a poorly fabricated one. Help us in this endeavour. Help us become better engineers for the society. Thank your for supporting us. The funds raised from this campaign will be used for the BAJA competition that will take place in March. We want to thank you all for supporting us and helping us in this project. We completed the event successfully we have some payments left since we lend money from some clubs in our college we will use this money to pay the money back to them. We have successfully raised our target in a short span of time and we will be using the money that we raised for the purpose mentioned before especially for buying the BAJA shock absorbers. We would like to increase our campaign's target amount in order to raise some additional 75,000 rupees in order to make our Intake manifold for FORMULA BHARAT this year and also for making the gearbox for BAJA. All the best guys - make us proud!